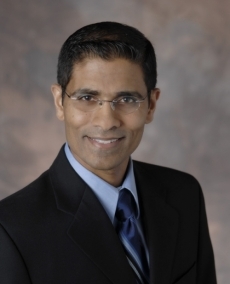 Gargey Patil, MD, is an award-winning OB-GYN physician with over 15 years of experience. He serves as the Assistant Director of the Department of Obstetrics and Gynecology with the AdventHealth Graduate Education Program. Dr. Patil received his medical degree from Jefferson Medical College and completed his residency at the Medical College of Pennsylvania/Hahnemann University Hospital, where he won the Obstetrical Society of Philadelphia's Resident Bowl Award. Dr. Patil extends his medical expertise to students by serving as a long-standing member of the clinical faculty at Florida State College of Medicine. Over the last 10 years, I have been a member of AdventHealth's outpatient surgical services committee, unit director of the Labor and Delivery Unit and OB-GYN Chief at AdventHealth Orlando. I will soon graduate from the AdventHealth Physician Leadership Development program. I believe in a very thorough and transparent approach to every patient’s care and plan.